backing wind Its opposite is veering wind. bait-ferry Kite system that captures the kinetic energy of the wind to power the transport of fishing or other animal bait to a desired location. See: http://mullerskitefishing.com/ Also, in logging, kite systems carry logs to target locations. balanced kites In AWECS, the having of more than one kite with an initial trunk tether while branched tether permit a variety of branching of working kite units stay in balance so that destructive interference does not occur during production of energy for useful works. The balance may be simplistic or very complex. Scores of fighter kites have been balanced even though they have highly erratic motions. The Roto-kite or Rotokite has soft balanced kites in rotational balance for yo-yo energy-production method. Also, two kites balanced in timing for one going out while other depowered coming in are balanced smartly by controllers and kite-control units. Rigid kiteplanes may be controlled for balanced rotation branched from a single tether with turbines on the kiteplanes. A doctoral student is revisiting in 2010 the challenges of AWE balanced kites: Reinhart Paelinck Peter R. Payne recited in his patent in Fig. 3 the means of keeping two kites in balance while being flygens and having their short tethers emanating from a single point on a main non-sweeping tether. See also: dancing kites The AWE Community is invited to advance the "dancing kite" file for all. Click image for full instruction. See: M2699 and its following posts. See also: M2704 and its following posts. Note: The use of the adjective of "balanced" has other uses in kiting. Elementary symmetrical balancing of a kite's lifting body is one such use; upon balancing left and right weight and/or aerodynamic performance, one may say that one has a balanced kite (up to those parameters). balancers Various balancers are used in kite systems. balancing a kite What are the ways to balance a kite system? ballonet wiki Yes, just one "o" in spelling. vacuum balloon http://www.research.fsu.edu/techtransfer/technologyopportunity/documents/engineering/gavrilin.pdf Rigid vacuum balloon. Layered shell vacuum balloons. Barrage balloon (kytoon type, kite balloon type). These were bridled and were LTA kite balloons. Upon some wind, the kiting principle played to counter some of the blow-down. Single-skin-partial-second-surface canopy wing, an echo of Barish Sailwing P2S technology! ...destined for manned and unmanned explorations in kiting and free-flight! 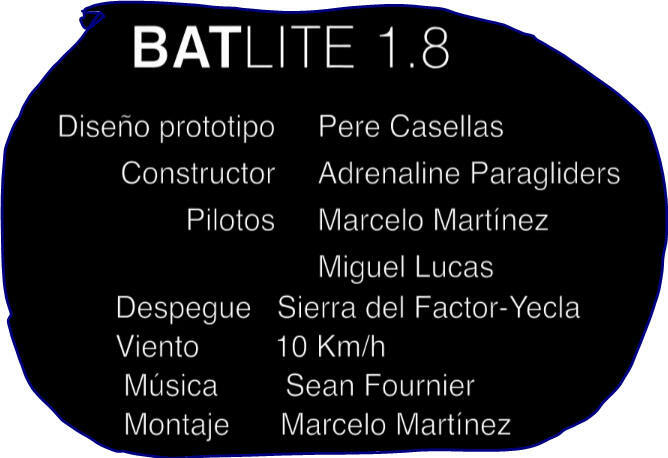 BatLite http://vimeo.com/45830391 1er vuelo de altura del BATLITE 1.8 de ADRENALINE PARAGLIDERS BatLite 1.8 ( = Adrenaline Paragliders' version of the simple surface BarretinaHyperLite), flying high! July 2012. This video is not an instruction, it just shows some steps of a possible building process. Enjoy and feel free to leave a feedback. baseload generation One author proposes: "wind and solar are not baseload generation." Need that persist; that is, could wind and solar become baseload generation? AWE can be part of the solution. Toward making wind a baseload generation: Ref1 There are reaches toward wind baseload and solar baseload. Consider this for swivel on rotary arch kites and rotary arch ribbon kites. Magnetic bearings, where the axial thrust is supported on a magnetic field. This is used where very high speeds or very low drag is needed, for example the Zippe-type centrifuge. "low flying over the airfield not engaged in the standard practice of either taking off or landing"
Beaufort Wind Scale Developed in 1805 by Sir Francis Beaufort of England. Dr J. M. E. Beaujean, Joseph Marie Elise Beaujean; company: Bogey Venlo B.V. in Venlo, Netherlands. Civil engineering. AWES concept of 2012 announcement. AWES6109 and following. Discuss there. Editorial: Consider a complex spiraled hull holding water turbines; tug it out to sea and fly traction kites to pull the full device broadside while making electricity and manufacturing chemicals including hydrogen. Products could be stored in another spiraled complex and towed to ports for release of the products. The online version of the Alexander Graham Bell Family Papers at the Library of Congress comprises a selection of 4,695 items (totaling about 51,500 images). Bensen, Igor Bensen (typo is the o use: Benson). kite gliders, gyro gliders, giro gliders, giro kites, gyroplane, gyro copter, auto giro, auto gyro, autogiro, autogyro, giro copter, etc. 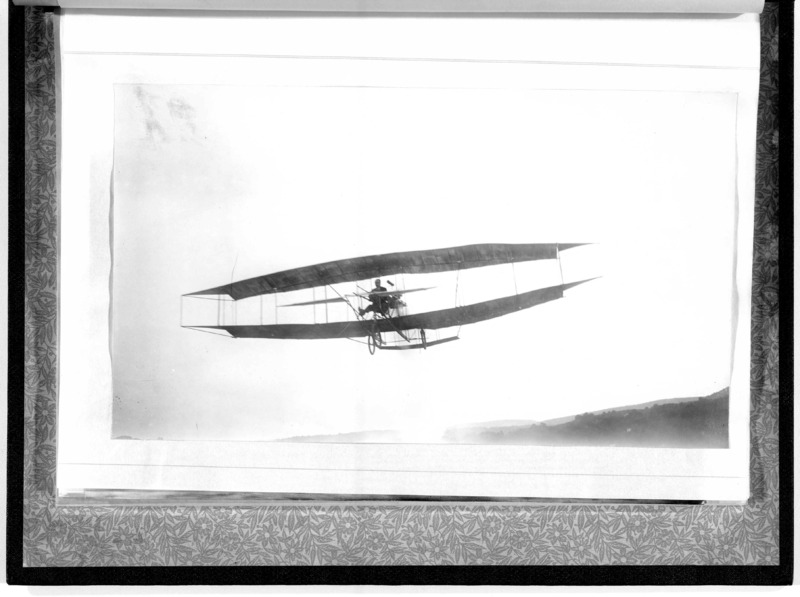 He used the control method that was evident in at least 1908 in Breslau with pilot hung from wing behind A-frame, the control method used by Spratt, ski kites, and hang gliders. The Breslau use was cable-stayed triangle with pilot hung from behind the A-frame. Bensen used several morphs of the control method, one of which was ornamentally directly a triangle control frame with pilot hung behind the frame. Mechanix Illustrated, August 1954, see issue. Betz, A., "Das Maximum der theoretisch mo'glichen Ausnutzung des Windes durch Windmotoren," Zeitschrift fur das gesamte Turbinenwesen, Heft 26, Sept. 26, 1920. Converting wind's kinetic energy to another form of energy slows the wind. Betz limit, Betz law, Betz' limit, Betz' law wiki "Three independent discoveries of the turbine efficiency limit: The British scientist Lanchester derived the same maximum already in 1915. The leader of the Russian aerodynamic school, Zhukowsky, also published the same result for an ideal wind turbine in 1920, the same year as Betz did. It is thus an example of Stigler's Law." For a given fluid energy-harvesting system there is an upper bound to the percentage of the fluid's energy that may be harvested. BHWE Bundesverband Höhenwindenergie e.V. i.G. BHWE Bundesverband Windenergy ; 2013. Guido Luetsch, president, German Airborne Wind Energy Association. e.V. stands for eingetragener Verein = registered association Note. Big Wind similar to Big Oil or Big Coal. Big Wind is the playground for AWECS. Indeed, some are aiming some AWECS for mining the energy in hurricanes. bird Fond name for an aerodynamic object. E.g., each version of the grounded and airborne SpiralAirfoil Airborne is referred to as a "bird." blade technology How to make blades for HAWT? blade-throw distances Upon failure of a wind-energy turbine of any sort, what is the amount of space and distance required for setback from vital settings in order to address parts where they should not be? For AWES, the range for wing and tether fall is to be considered. BloomBox Bloom Energy Server. Bloom Energy Fuel Cell. Note: Fuel is an input. A type of fuel-cell. Company: Bloom Energy. Will it have any interface with kite energy? boat, boats, boating Boats play parts in many kiting systems, even AWES. The boat may be a servant tool to kite operations. A boat may hold water turbines and be tugged by tethered wings. A boat may be the anchor to a kite system. A kite system wing may even morph to become a boat. A boat may morph to become a kite system. Large utility-scale kite sailing boats or ships are extant. Patents on large hulls and large kites are slated to become chemical factory and energy producers that will supply ports. Bob Ingraham. Robert Ingraham. b. d. Founder of AKA. Bondestam, the great Finnish kite visionary. Marten Bondestam, (misspelled "Martin"; use "...ten"
Michael Siems published The Ultimate Boomerang Book, 1996. Borsheim M231 John Borsheim, president of American Test Engineering Corporation (ATEC) of Austin, Texas. boundary layer control BLC Perhaps better: boundary zone control. Boundary zone. Boundary-zone thickening by objects roughen the surface of the earth. Objects that project upwards deflect the wind and thicken the boundary zone as the object blunt the wind and damp some of the wind's kinetic energy. AWECS are more of that projecting of roughness. 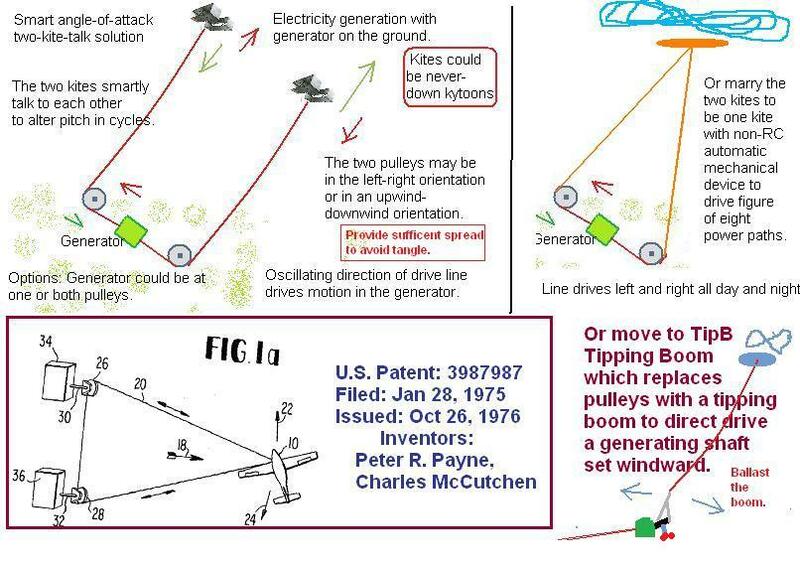 bowtie | kite system might be forced into a bowtie configuration as a result of turbulence, some failure, control, Generally a bowtie would be an unwanted event. However, leave open the possibility of deliberately setting a system into bowtie for some reason. Notes are welcome. 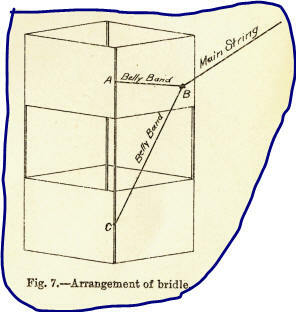 term for structure of kite tree pattern where lines branch out to wing elements; this may be repeated for several levels of branching. At a junction may be a split to two, three or more further branches. term use for the cascade of bridle or tether lines to a wing in a kite system, as in gliding kite paraglider. There may be one level, two levels, three levels, or more levels. Branching permits the use of smaller diameter lines while a bridling of a wing is effected; the wing may be just canopy or airframed wing. Example. Budapest kite, Buda kite, Buda Jewish kite ---- was fact in 1904.
bullroarer (sometimes found "bull roarer" Some vibrate without rotating continuously about its long axis, but some do rotate continuously about its long axis to be itself then a rotating flip wing ... a foundation for flip-wing rotor kites, rotor kite rotating ribbon arch kites. Some are tethered on cords. Some are not tethered on cords. Swivels or not on a tethered bullroarer? Bungee Cord, the quarterly newsletter/magazine of the Vintage Sailplane Association in the USA http://vintagesailplane.org/newsletter.shtml BUNGEE CORD - Voice of the Vintage Sailplane Association. bungee cord wiki/Bungee_cord (Sometimes: bungie cord or bungy cord) shock cord, (Occy strap / Octopus strap in Australian common usage) Energy may be stored in the bungee cord; release of that energy uncontrolled may cause injury or death. Uses are many. Glider launch (unmanned or manned).